In October 2014, The Shanta Foundation held its first Gala Dinner, in aid of the Mitra Rehabilitation School, which is run by the Anoopam Mission; a non-profit, charitable organization based in Gujarat, India. The Mitra School’s mission is to provide exceptional services and training to the children with special needs to become self-sustaining individuals and lead their life with dignity and self-respect to become productive members of the society. The Mitra School opened its doors on 15th July 1993, providing care and training for children in the local area and has since flourished, currently providing educational and vocational support for hundreds of children with special needs. The school offers a full range of services including diagnostic and early intervention programmes; individual education; day care facilities that work on motor, cognitive, vocational and communication skills; parental education and advice programmes and professional training courses. The success of the school prompted a move to new premises on 16th June 2014 and the start of a fundraising process to build a new campus of buildings, capable of seeing the school through its next phases of growth and development. It was at this point that The Shanta Foundation became involved, committing to raising the funds necessary to complete Phase 1 of the scheduled works. The Gala dinner proved to be a great success, raising £412, 441. Thanks to the monies raised Phase 1 completed much sooner than planned, with Vijay, Bhikhu, Smita and Sashi able to visit late 2015 and see some of the students benefiting from the new facilities and environment. 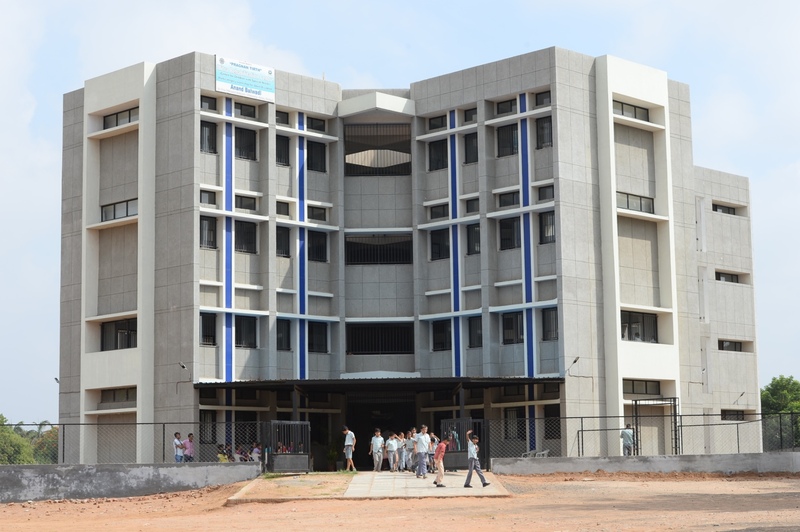 The new building currently houses a student population of 150 with various disabilities ranging from 5-18 years of age. There are a total of 23 teaching staff of whom 13 are trained Special Education teachers and 4 Vocational Training teachers. Specialist consultants also attend the school to cater for the needs of the children. All of the funds raised by The Shanta Foundation were originally earmarked for the construction of buildings in Phase 1. However, as the works were completed ahead of time and budget, further discussions were had with the Anoopam Mission, and the remaining funds have now been earmarked as Corpus Funds in a separate interest earning account, which will support the ongoing running expenses of the school.